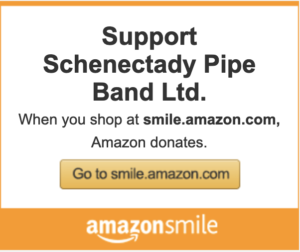 Formed in 1917 with the support of Clan MacRae and General Electric, the Schenectady Pipe Band is one of the oldest bagpipe bands in the United States. General Electric guaranteed a job to the person chosen as pipe major. 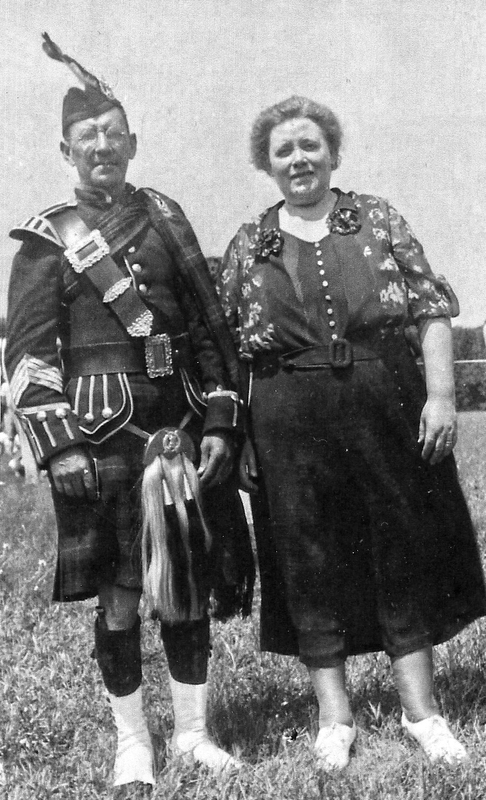 Isaac Riddell, a stone cutter in Barre, Vermont, was selected to start up the band and became its first pipe major and instructor in 1917. 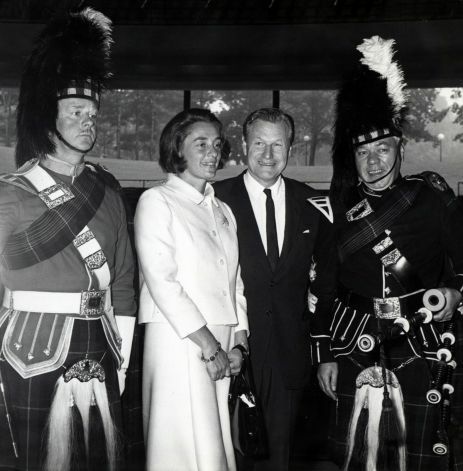 Riddell was a piper in the 92nd Regiment Gordon Highlanders of Aberdeen, Scotland, before coming to the United States, which is why the band wears the Gordon Highlanders’ uniform. In 1917-1918, the Schenectady Pipe Band played throughout the East in support of Liberty Bond Drives to raise funds for World War I. From 1918 to 1920, the band went into suspension to divert manpower to the War. 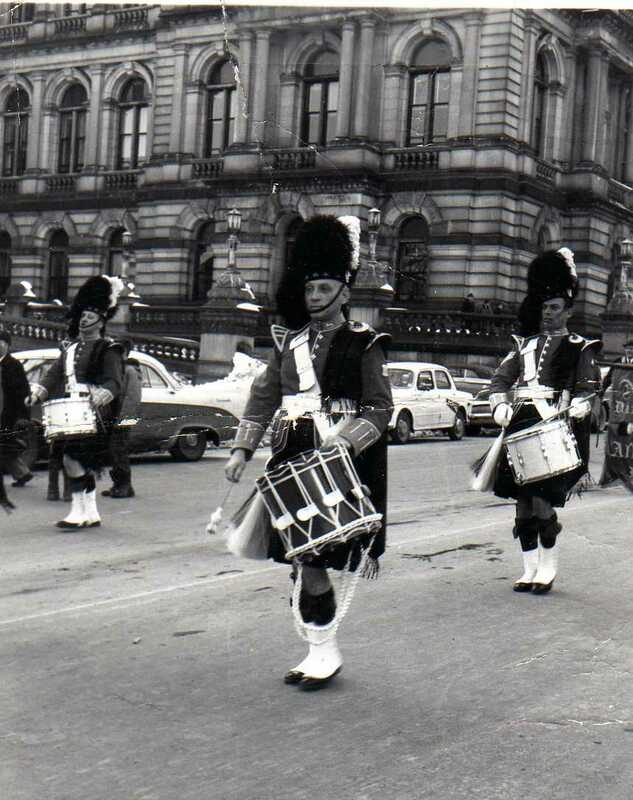 In the 1930’s the band’s name changed to the British Empire War Veterans Band, under the sponsorship of the BEWV Post. It was disbanded during 1942-1943 when the manpower went to World War II. 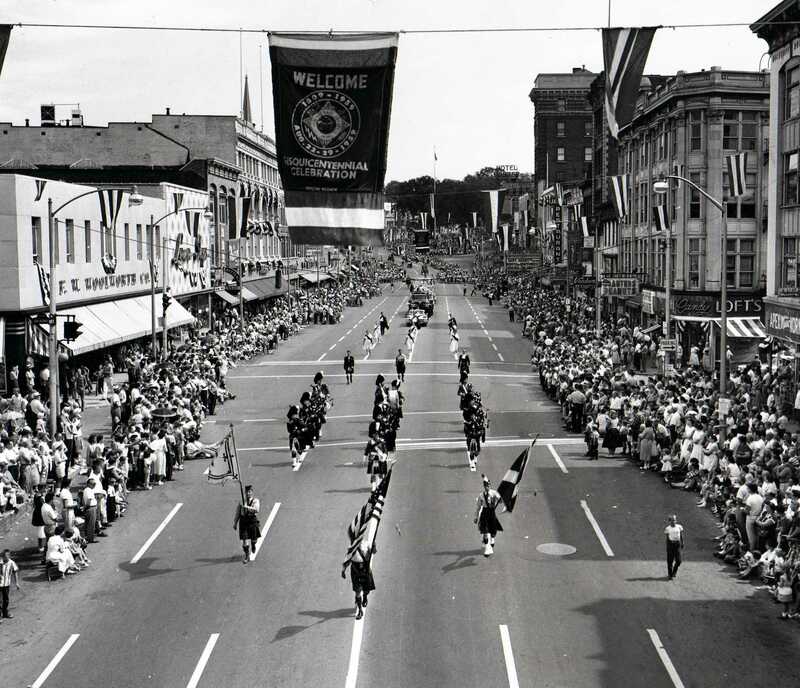 The band emerged from WWII without sponsorship under its former name, the Schenectady Pipe Band. We have paraded throughout the Northeast providing entertainment while honoring our national holidays with reverence and long-standing dedication. 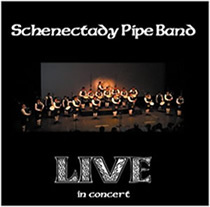 In our long and rich history the Schenectady Pipe Band has played for presidential (FDR) and gubernatorial (Carey) inaugurations, appeared on local and national television, installed college presidents, and performed for international pop star Rod Stewart in Concert.You may recall the ‘I LOVE NEW YORK’ TV commercials of the late 1970’s showing a pipe band marching adjacent to an ancient mist-covered castle? 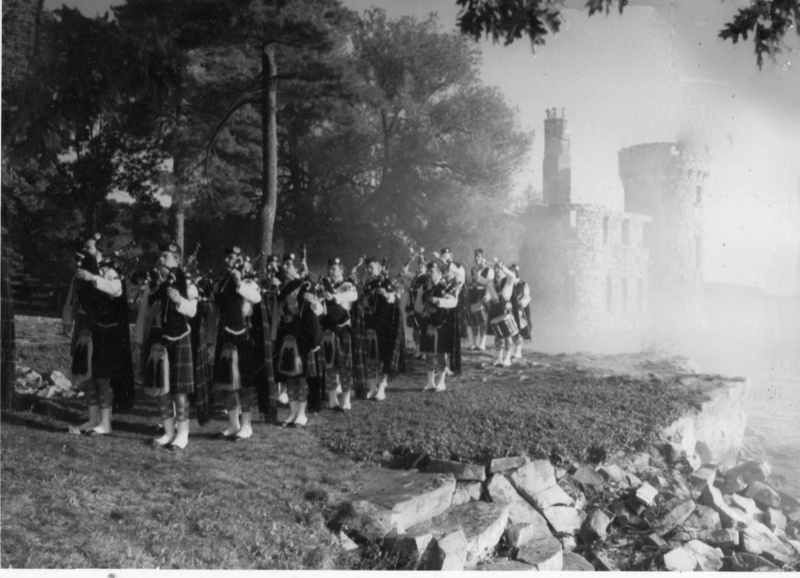 Well, the sights and sounds of that scene were brought to you by the Schenectady Pipe Band outside Boldt Castle in the Thousand Islands, N.Y. 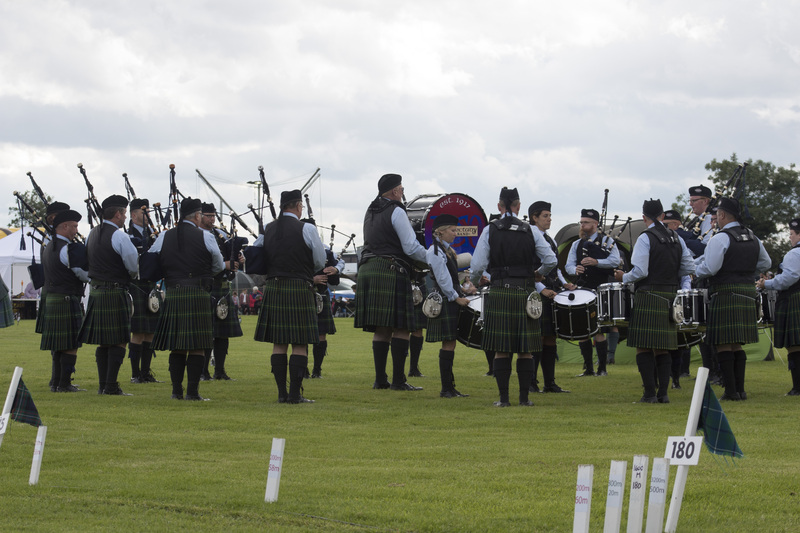 The Band traveled to Scotland in 1987, 1993, 2000 & 2017 to compete in the World Pipe Band Championships and in ’93 returned with a coveted 1st place for ‘Dress and Drill’ in our grade. Quite an honor for an American band to achieve against the best in the world! On that same trip, we accepted an invitation to play at the Military Tattoo at Stirling Castle for the Argyll and Sutherland Highlanders’ annual retreat. It marked the first time in their history that any band outside of Scotland had been granted such a privilege. 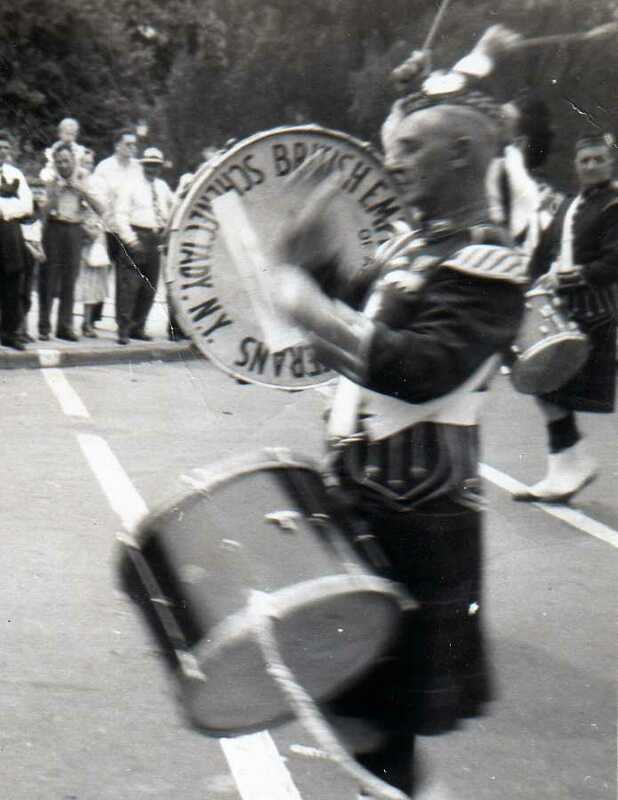 In 1978, the Schenectady Pipe Band took on the challenge of re-establishing the Capital District Scottish Games, previously sponsored by the Clan MacRae. The Games, now one of the largest events in the East, draws over 40 bands and 15,000 spectators to the Northeastern U.S. Championships. They have grown to become a favorite regional festival where people of gaelic descent can proudly display their culture, traditions and talents. 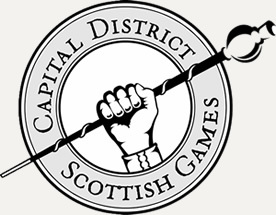 The Games provide an arena for pipe bands, athletes, and highland dancers to compete and all to gather in an atmosphere befitting their Celtic roots. Set in the foothills of the Helderberg Mountains at the Altamont Fairgrounds, the Games are presented annually on Saturday and Sunday of Labor Day weekend. 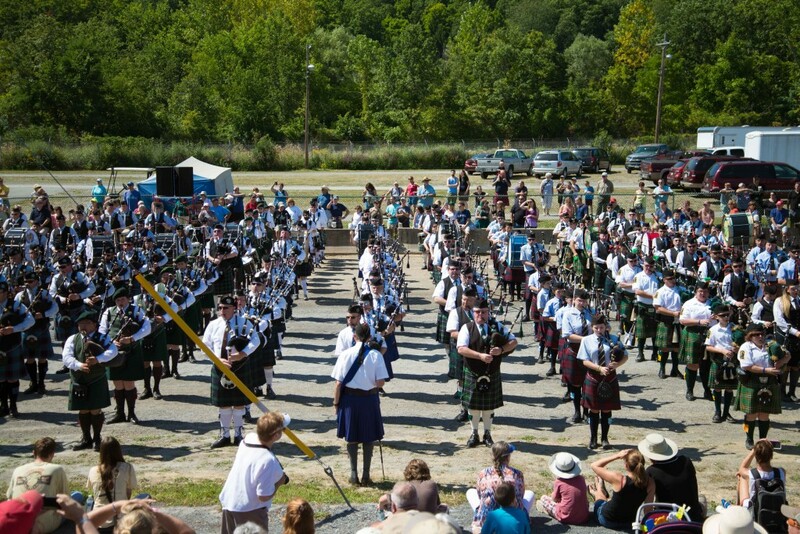 In addition to the Capital District Scottish Games, the Band has also sponsored a Simon Fraser University Pipe Band Highland Arts Festival in 2000 and several concerts showcasing the talents of world-class pipe bands: The 78th Fraser Highlanders from Canada-1988 and 2001; the ScotRail Vale of Atholl from Scotland-1988; and Simon Fraser University Pipe Band from Burnaby, British Columbia-1996 and 2000. 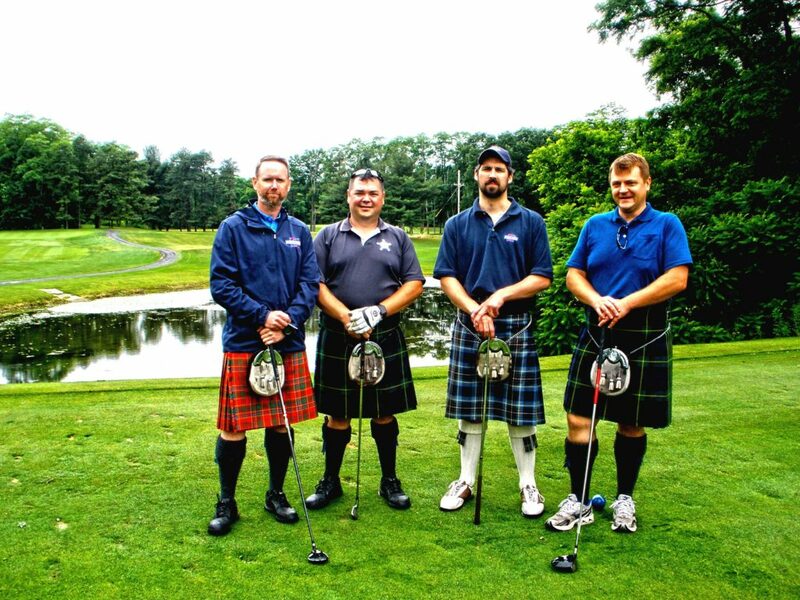 Band members and Games volunteers are also hard at work for the community by planning and coordinating the Capital District Scottish Games Charity Golf Tourney (an annual tourney that started in 1995 and has donated over $140,000 to local charities).